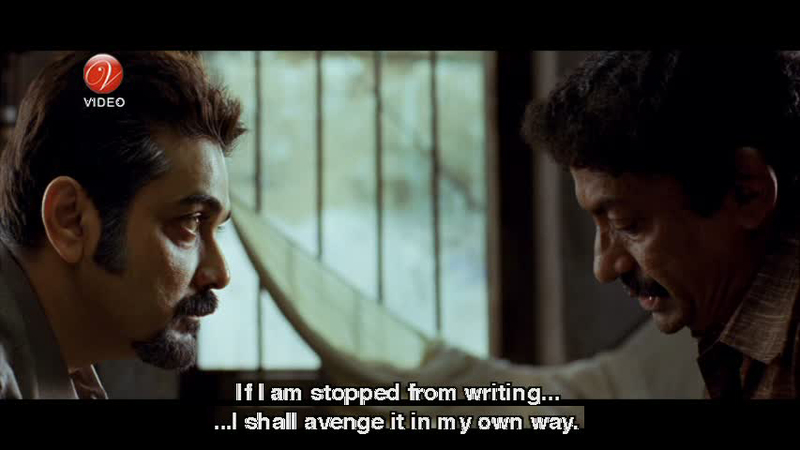 I may have just made a tactical error in re-watching Baishe Srabon, a 2011 Bengali mystery, before writing about it. In my experience, it's a relatively rare mystery film (or tv episode) that holds up to repeated viewings, particularly if it is not part of a series that has over-arching character development, multi-episode/big-picture plot arcs, a well-formed internal culture, or other established and familiar elements to hook viewers. On my second viewing, when I knew what was going to happen and had a sense of why, Baishe Srabon just did not strike me as a particularly good movie. Not awful by any means, but not great either. The identity of the serial killer seems straight out of Manmohan Desai, there is a completely unnecessary and uninteresting romance (featuring the film's lone female character with more than three lines of dialogue), a pedantic detour about Bengali poetry derails the pacing of the mystery, and Parambrata Chatterjee's performance evokes the John Abraham Conundrum (i.e. 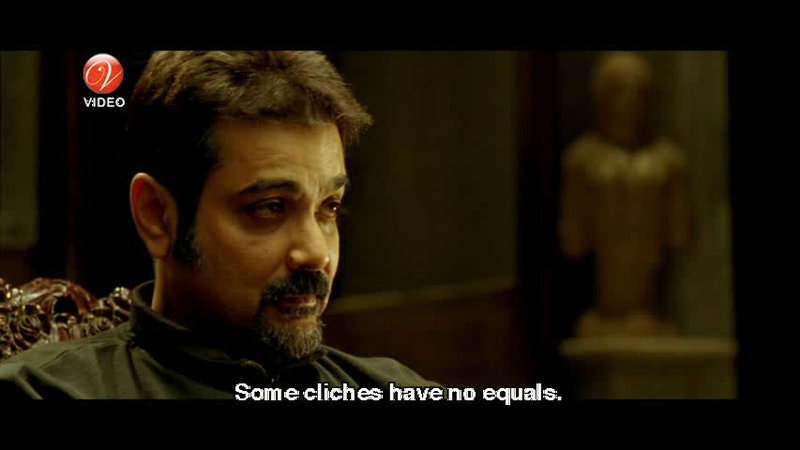 in films like Water or Dostana, is he being stoic or is he incapable of expressing much other than blankness?). But is it fair—or relevant—to judge a work whose attraction may significantly derive from its potential to offer confusion, tension, and surprise after you know what to expect? My answer, after thinking about it for a few days, is a tentative "yes." If it's well done, it will probably recreate that intrigue for you, perhaps through different angles or in different voices than it did the first time. Or it might re-inspire you to create it for yourself by having layers of clues or previously-unobserved routes to follow through the story. The film has a solid if familiar skeleton: a serial killer has terrified Kolkata with a string of killings peppered with poetry-laced clues, and the only police officer in all of India who has any chance of figuring it out is the disgraced, abusive, foul-tempered, my-way-or-the-highway, and very probably alcoholic Probir Roy Chowdhury (Prosenjit Chatterjee). After sufficient groveling by the city police, led by his old colleague, Probir takes the dweebish and self-righteous investigating officer, Abhijit (Parambrata Chatterjee), under his wing, and once they learn to work together they make some progress on the case. Abhijit's girlfriend, Amrita (Raima Sen), gets tired of his shtick and moves out, leaving her plenty of energy for her job with a tv channel doing a program about serial killers, aided by her long-time friend and sometimes-almost-love-interest Shurjo (Abir Chatterjee [irrelevant side note: hello, my new fake-pretend movie boyfriend]). And that's probably all of the plot you should have, since it's a mystery. This thread of Amrita and Shurjo is such a waste, especially when somehow that pairing has a million times more chemistry and, more importantly on my scale, actual affection than Amrita and Abhijit. I'm pretty sure we're supposed to hope for Abhijit's reunion with Amrita, but he just isn't a very pleasant or interesting person. He is...gosh, what can I say about him? dutiful? willing to memorize facts? tall? I don't think it's fair to call him "nerdy" because I'm not convinced he's terribly smart, and he doesn't even have the tenacity that often gets assigned to "dull but hard-working" stock cop types. Maybe it's the writing, because Parambrata Chatterjee made Kahaani's inspector Rana into such a quietly emotional and empathetic dream. 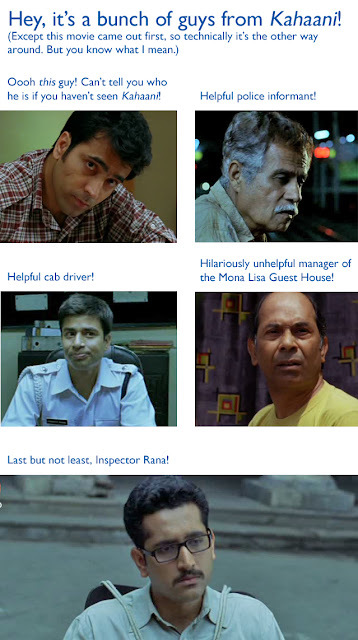 But Rana is kind, careful, and engaged, whereas Abhijit comes off more like a half-heartedly motivated teenager. This is where the John Abraham Conundrum enters. At least half the time he is on screen, Parambrata makes a mostly blank, vaguely negative expression that could indicate any number of unhappy states: depression, confusion, ignorance, inebriation, annoyance, failure, loneliness, etc. The script has Probir say out loud that Abhijit is the staple dal-rice, in contrast to Shurjo as the indulgent biryani, but I'm not convinced this analogy works the way the film wants it to. If Amrita could choose biryani every day and be happy and healthy with it, why wouldn't she? Her life is cheerier and more comfortable with Shurjo, who is bright, lively, expressive, funny, and overall super yummy, and she seems more genuinely fond of him. I wonder if Amrita is supposed to feel sorry for Abhijit, and he does have a little bit of lost child about him, but the film does not give us a sense of why that would be attractive to her. Does need necessarily trump want in romance? 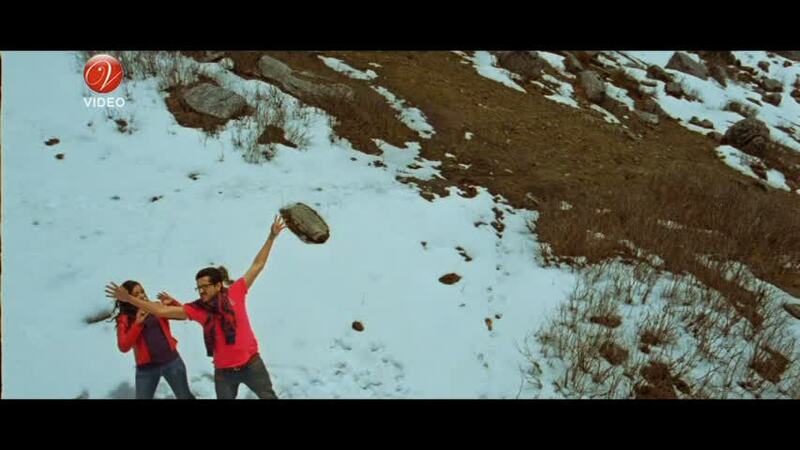 In a flashback to happier times, Abhijit and Amrita try to frolic on a snowy mountainside, but when he does the hero arm-fling gesture, he accidentally smacks her in the face. LOL. It would help if Amrita's character were further developed. Heck, I wonder if we are supposed to feel sorry for Abhijit, but he's not interesting enough in any dimension to stir that in me. And if I am unmoved by your bookish Bengali man in funky glasses, you know there's a problem. Shurjo is tired of waiting for Amrita to finish holding Abhijit's hair while he pukes. I agree with his attitude 100%. C'mon, Shurjo, I've got something better for you to do. This whole plot does not need to exist. 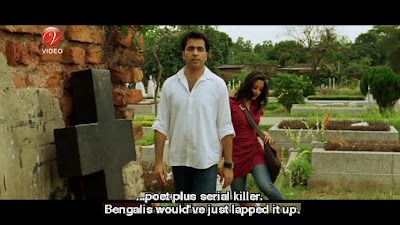 Its only contributions are 1) the lovely romantic ideal that Shurjo embodies and the corresponding daydream-man-candy of Abir Chatterjee and 2) the bonding between the two cops when Abhijit shows up distraught at Probir's door after he thinks Amrita has hooked up with Shurjo. As much as I enjoyed 1, the film didn't need it; as nice as 2 is at establishing Abhijit's submission to Probir's methodology and persona and Probir's fatherly feelings towards Abjijit, the film couples that conversation with one about Abhijit's father walking out on his family when he was a child, and that one sob story is plenty to set up the Abhijit-Probir relationship. However, this is a very important and nicely done scene (even if it could have been founded on a different emotional problem) that embodies the ethical crux of the story. 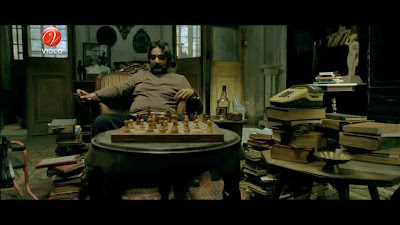 Abhijit is clearly a supplicant, and as the film's primary representative of law, order, protocol, the dimness of the common man, and probably even basic human decency, it's important to the rest of the story that those values and truths have submitted themselves to an unpredictable, violent man who holds court in a disordered, decaying mansion. The power dynamic of people and ideals is firmly cemented now. Chess as a motif of power struggles and brainpower again? Srsly? but he makes Probir weird and dangerous in interesting ways. This is a complicated character who truly hates crime (though why, we do not know: does it offend his sense of order? right? humanity?) but also harbors a pathological need to be needed and to demonstrate his own cleverness. Probir: How is the Hungrealist movement related to Bengali poetry? Abhijit: Through history. In 1960 this Hungrealist or Hungry Generation movement was launched. It's [sic] propounders were [list of names] Their poetry challenged the stability of the establishment. Very hard hitting poetic language...that declared war against corruption and the system. A lot of their work was banned on grounds of obscenity. The state filed a case against them. Some of the famous poets were involved in it as state witnesses. Was this less dry and more naturalistic in Bengali? There are other poetry lessons too, most notably voiced by the off-balance, funny disgruntled poet Nibaron Chakraborty (Goutam Ghose), who by his vocation actually has a reason to expound on what poetry can mean to society and how powerful it can be (and has been). Even Probir and Abhijit discussing the snippets of poetry left at crime scenes by the serial killer is more substantial and relevant than them sitting at a café as Abhijit rattles off facts that magically and amazingly lead directly to the serial killer's strategy and likely next move. If the love triangle were dropped, there'd be more time to lay out these things elegantly. The music is at times problematic too. The actual songs don't grab me one way or the other but the background score is interesting and varied, though sometimes it gets so caught up in experimenting and mixing that it distracts. There's a clip of swirly symphonic sounds with sort of scatting vocals as Nibaron freaks out over news of his book not getting published, and it's so "HEY THIS GUY IS SO MANIC AND UNSTABLE!" that I had to laugh. However, there are many details in Baishe Srabon that I just loved. 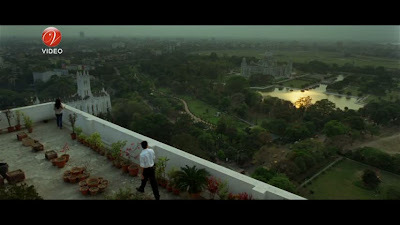 It looks gorgeous, showing the beauty and darkness (architectural, visual, psychological) of Kolkata just as well as Kahaani. It also has its share of jokes, mostly quiet and focused on stereotypes of Bengali culture. This isn't the best movie I saw in April, but you could do worse than enjoying Prosenjit Chatterjee, Abir Chatterjee, the lanes of Kolkata, and some digs at cultural stereotypes and contemporary societal problems. I can't figure out how to comment on the mystery itself without giving things away, but it worked well enough on this easily-confused viewer the first time around but seemed borderline ridiculous, especially as reasons for the crimes were given, the second time. Admittedly I have not searched extensively, but I know of very few blogs (in English) that discuss any Bengali films that aren't by Satyajit Ray. Upper Stall and Totally Filmi have seen Baishe Srabon too, and I recommend both posts if you want to read reactions by someone who seems to have managed not to muddle herself thoroughly before writing. Paayaliya and I watched this movie together, so maybe she will post on it too? Hint hint! 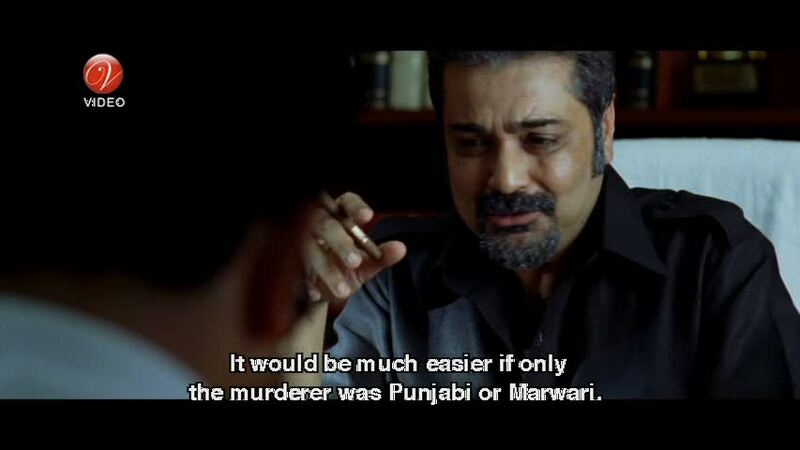 And to end, if you're as much of a novice in Bengali films and as distracted by "Where have I seen that guy before?" as I am, here are the people I recognized. * Though OMG he's the son of Biswajeet? Whoa! At last, I have found someone who loves Soumitra AND Abir Chatterjee :-) Beth, you are probably aware of this anyway, but there is a HUGE similarity between the two, other than the fact that they are both Bengali, tall and good-looking. I know that you have seen Soumitra's Feluda films (which is why I fell in love with him as an 8-year-old) but Abir Chatterjee plays the other iconic Bengali detective - Byomkesh Bakshi. Byomkesh is quite as cool as Feluda, though in a slightly different way, and Abir's two recent Byomkesh films with Anjan Dutta are the best characterizations of Byomkesh that I have ever seen. He looks perfect and acts just like Byomkesh should. I hope you get to see the films and post reviews on them. Hi Rajashree! Yes, we shall squeal together :) I'd love to see the Byomkesh films - I'll have to keep an eye out for subtitled versions next time I'm shopping!